The American Board of Internal Medicine (ABIM) Community Engagement Team has been out and about this spring facilitating individual and small group conversations with physicians about Maintenance of Certification (MOC) at medical society meetings and in clinical settings. 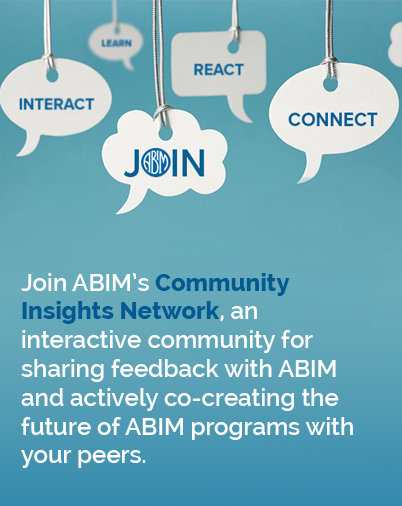 While working to design innovative ways to talk with the community for critical insights and feedback, our team invited community physicians to ABIM’s office in Philadelphia for our first Community Exploration Day. Last month, we hosted more than a dozen physicians from a variety of backgrounds, locations and specialties to consider assessment components, online experience and future innovations with their physician peers and ABIM staff. 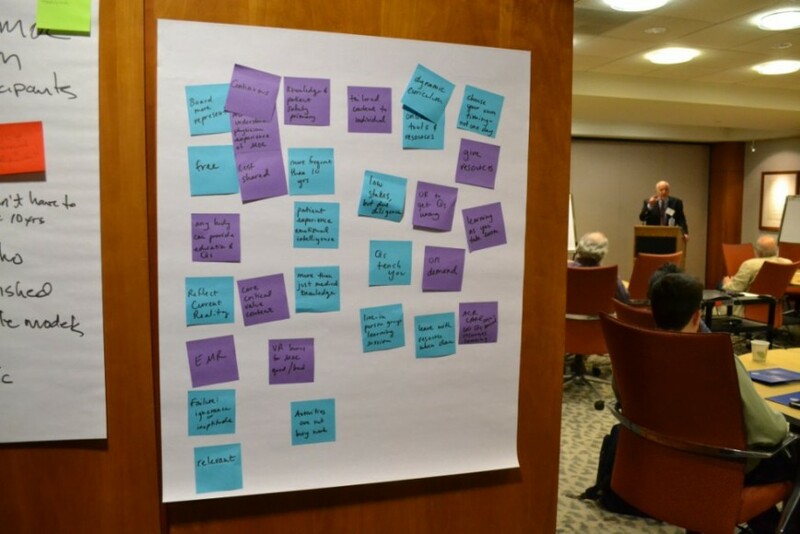 The day also included time for open discussion and space for attendees to envision what they would do if they were developing future ABIM programs. Topics we covered included how to engage more physicians, plans for the MOC program, financial information and other salient issues. We encouraged participants to also record and share their thoughts via word clouds and Post-It ideation clusters throughout the day. Dr. Richard Baron and I addressed questions and concerns, and we spoke with attendees about ABIM’s path forward. “I thought this was a good opportunity to come by to see if we can brainstorm and come up with some collective ideas to steward the future,” said Michael Newcomb, MD, about why he decided to attend. “You can feel the sense of anxiety and tensions in all physicians when you attend a board review course,” Marguerite Saith, MD, said about preparing for the 10-year MOC exam. She suggested that to reduce stress, MOC can be presented as a way to celebrate an achievement or a milestone in a physicians’ career. Listening to conversations throughout the day, it was wonderful to observe that the participants were comfortable sharing their personal experiences and ideas. We are grateful that the physicians who participated shared their valuable time and input with us and are excited to learn their perspectives. We plan to host additional Exploration Days. I welcome you to continue to email Dr. Baron and me with your feedback. If you would like to be a participant in a future Exploration Day, please email community@abim.org. This post was updated 7/5/16 to include additional feedback.